Mumbai, India, February 28th support to various NGOs as Philanthropic Partner of Satyamev Jayate for the second time. With a vision to bridge the gap in socio-economic development in India, Reliance Foundation implements and supports initiatives that address the pressing challenges. “As the Philanthropic Partner of Satyamev Jayate in Season One, Reliance Foundation was able to reach out to many NGOs, engaged in exemplary work. Through various initiatives, we look forward to empowering people and delivering measurable impact. We are confident that our partnership in Season- 2 will prove to be equally rewarding and help us support many more deserving institutions that are walking our path of building a new India.” said Nita M. Ambani, Founder & Chairperson, Reliance Foundation. Reliance Foundation (RF) aims to play a catalytic role in addressing the nation’s development challenges through innovative and sustainable solutions with its focus on five core pillars: Rural Transformation, Education, Health, Urban Renewal, and Promotion and protection of India’s Arts, Culture and Heritage. Smt. Nita M. Ambani is the Founder & Chairperson of Reliance Foundation and the guiding spirit behind the Foundation’s ambitious vision of becoming the leading vehicle for social development, empowering the underprivileged and infusing social transformation in India. 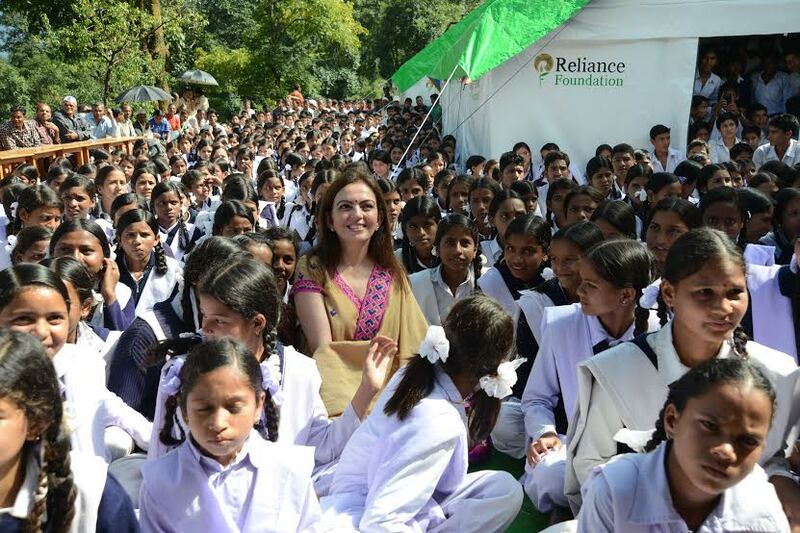 Reliance Foundation has touched the lives of over 4 million people in 5000 locations across the country.